Apple (AAPL) was one of the pioneers in personal computing but has since grown to become one of the world’s most dominant forces in consumer electronics with more than $260 billion in annual revenue. Today the company produces numerous consumer devices, including smartphones, desktop and laptop computers, tablets, smartwatches, voice-controlled smart speakers, TV boxes, and various phone accessories. Apple also offers an increasingly wide array of software services integrated into its hardware products, including the App Store, Apple Music, iCloud, FaceTime, Apple Pay, and Apple CarPlay. However, Apple’s business continues to be dominated by the iPhone, which accounted for 63% of revenue in fiscal 2018, with over 217 million units sold. Mac computers (10% of revenue), iPad tablets (7%), and other products (7% – Apple TV, Apple Watch, Beats products, phone accessories, iPod touch, and Apple Watch) are Apple’s other major hardware products, although they are relatively small drivers compared to the iPhone. By far the fastest growing and most lucrative source of revenue for Apple is its Services division, which makes up 14% of sales. Management believes this business has potential to achieve $50 billion in 2020 revenue (up from $37 billion in 2018). Services will have to be the company’s main growth driver because with smartphone penetration exceeding 80% in America and plateauing in many other developed countries around the world, Apple’s massive iPhone business has found meaningful growth harder to achieve in recent years. Apple is also a truly global company, with its sales being far more diversified than the average U.S. multinational corporation. The Americas region accounted for 42% of revenue in fiscal 2018, followed by Europe (23%), Greater China (20%), Japan (8%), other parts of Asia (7%). Apple only began paying dividends again in 2012 but has grown its payout for six consecutive years at a double-digit rate. CEO Tim Cook has said the company plans on raising its dividend every year. Warren Buffett is known for his strong focus on wide-moat businesses. Specifically, he seeks to own companies with meaningful competitive advantages that provide strong pricing power and excellent profitability. Consumer electronics is a notoriously challenging industry, driven by huge competition, continually changing consumer tastes, capital-intensive operations, short product life cycles, and steadily declining margins. In other words, hardly the place that you usually find great dividend stocks. However, Apple seems to be different thanks to several key factors, which is why Buffett’s company, Berkshire Hathaway (BRK.B), owns more than $40 billion worth of Apple stock. That makes Apple over 20% of Berkshire’s stock portfolio. A key reason why Berkshire is likely such a fan of Apple is the company’s incredibly strong brand, which in 2018 was the most valuable in the world by a wide margin. The key to Apple’s premium brand, which has even managed to find success in emerging markets (sales growing double digits for the past several years), is Apple’s very tight integration of its hardware and software offerings. Consumers who purchase Apple hardware are thus less likely to switch to rival devices that run on other operating systems, such as Android. If they switched, they would lose almost all of their content that can only be accessed using devices that run on Apple’s iOS operating system. With an iOS installed base of 1.4 billion devices, third-party developers also have greater incentives to create apps designed for Apple’s devices rather than smaller alternatives with less monetization potential. This creates a virtuous cycle where Apple customers enjoy a greater selection of apps that make their mobile devices more useful, bringing even more users onto the platform and thus making it all the more attractive for third-party developers. By developing a stickier ecosystem and consistently delivering thoughtfully designed products, Apple has historically commanded excellent consumer loyalty for its hardware products, even if the actual physical capabilities of its devices are largely the same as rival offerings today. This kind of incredible brand power is why Apple has managed to increase the average selling price of an iPhone from $499 in 2007 when it was first unveiled (about $600 in 2019 dollars) to almost $800 in late 2018. Given that consumer electronics tend to fall in price over time, such an increase in real selling prices is a testament to Apple’s strong brand power. More importantly for investors, this strong pricing power means that Apple enjoys the best profitability in the industry, with returns on invested capital near 30% in most years and free cash flow margins near 20%. For a consumer electronics company, those are very impressive levels of profitability. Combined with its prodigious sales volumes, Apple is generating a huge river of cash flow that has given it the largest corporate cash position ($245 billion in late 2018) in corporate history. And that’s despite Apple’s largest cash return program ever, which has already returned more than $300 billion via buybacks and dividends since it began in 2012. But Apple’s status as a blue-chip dividend growth stock isn’t purely based on the largest cash pile in history being used to fund large buybacks and strong dividend growth for the foreseeable future. Apple plans to invest $30 billion in the U.S. alone between 2018 and 2022, as part of its efforts to expand its service offerings, ramp up R&D, and make its iOS ecosystem even stickier. 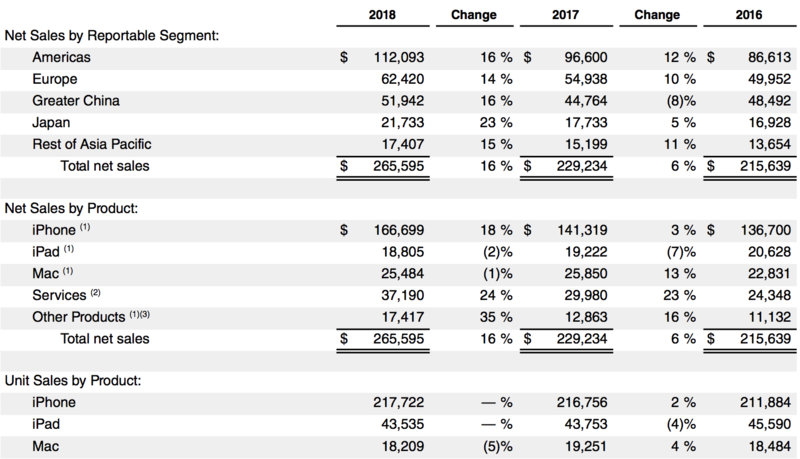 Apple’s R&D spending in 2018 was over $14 billion (about 5% of sales), which was up 42% from 2016’s figure. Most of that spending is going to improve its hardware offerings (Apple designs its chips in-house), as well as expanding its service offerings which management sees as its biggest future growth driver. Apple’s service revenue has compounded around 20% per year since 2015. In late 2018 Apple reported quarterly service revenue of $10.9 billion, a nearly $44 billion annual run rate, putting it on track to hit management’s goal of doubling revenue from 2016 to $50 billion per year by 2020. Apple is continually rolling out new service offerings including Apple Music, which hit 56 million subscribers at the end of 2018. Another example is Apple Pay, which is now live in over two dozen countries and processed over 1.5 billion transactions in the fourth quarter of 2018. Apple News is also contributing to the success of services, having reached 85 million subscribers at the end of 2018. Simply put, Apple’s service revenue is highly diversified. Management has stated that no single part of the business generates over 30% of its sales, and the company has a number of additional growth opportunities it will likely pursue in the future, including a TV streaming service, the launch of its own credit card, and interesting possibilities using its Apple Watch to help people monitor their health. According to FactSet, analysts expect about 10% long-term EPS growth from Apple, which should allow for double-digit dividend growth for the foreseeable future if the company can achieve that forecasted growth rate. Overall, Apple has done a remarkable job of managing its brand and increasing the switching costs of its high-quality hardware and software ecosystem. This has allowed the company to achieve industry-leading profitability and reward dividend investors with excellent growth. And with the largest cash position in corporate America, Apple has the financial resources to deliver one of the safest dividends in the market. But that being said, Apple faces several important risks which could weigh on its long-term growth prospects. Apple faces two major challenges in the years ahead. 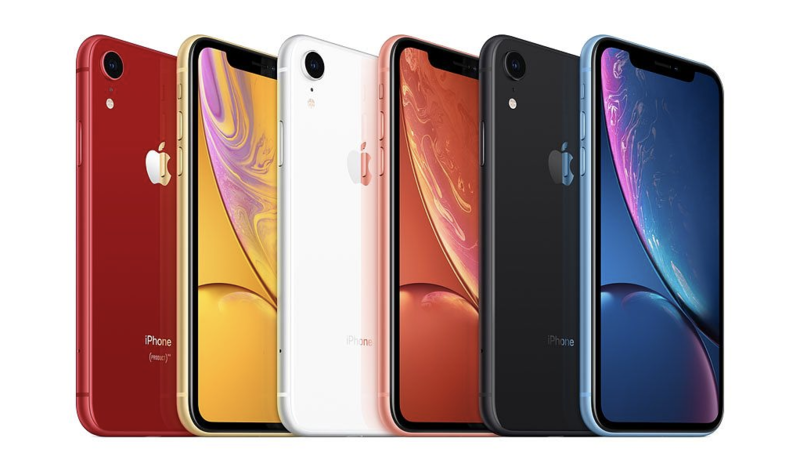 First, on the hardware side of the business, the company might struggle with longer upgrade cycles for its products, especially the all-important iPhone, which is likely to deliver the majority of Apple’s profits for many years to come. According to analyst firm NPD, by mid-2018 average phone upgrade cycles had grown to 32 months, up from 25 months in mid-2017. Longer upgrade cycles are bad for unit sales of iPhones, even if the company’s user base is the most loyal in the industry. Improving technology and steadily rising selling prices only help drive stronger incentives to keep phones longer, as does the fact that Apple’s software upgrade cycle on its phones lasts for four years. There’s also the issue of the iPhone’s high average selling price potentially hitting a wall, with consumers increasingly showing signs that Apple has reached its limit on price increases especially in key growth markets like China (20% of fiscal 2018 revenue). “While we anticipated some challenges in key emerging markets, we did not foresee the magnitude of the economic deceleration, particularly in Greater China. In fact…over 100 percent of our year-over-year worldwide revenue decline, occurred in Greater China across iPhone, Mac, and iPad. China’s economy began to slow in the second half of 2018…We believe the economic environment in China has been further impacted by rising trade tensions with the United States. While it’s easy to write off some of the company’s weakness to factors outside of its control, such as the ongoing trade war, a slowing economy, and nationalistic backlash over Huawei’s CFO being arrested per U.S. request, the competitive environment in this important market could also be intensifying. Apple’s strategy in China has always been to leverage its aspirational luxury brand to support some of the highest price points in that country’s phone market. But given how rapidly phone tech has advanced (today’s low-end phones are better than flagships from a few years ago), that’s proving harder to do against so many low-cost rivals such as BBK Electronics (maker of popular smartphone brands Oppo and Vivo). Most of the developed world is also saturated with phones, including hundreds of smaller Android manufacturers offering “good enough” offerings at much lower prices. In fact, market research firm IDC estimates that between 2017 and 2022 smartphone units will grow from just 1.5 billion to 1.7 billion (about 3% annual growth). This is why Apple wants to shift its growth drivers from selling more iPhone to instead focus more on high-margin services and other product categories. Fortunately, even if Apple’s iPhone, iPad, and Mac sales decline by 5% per year, so long as the company’s high-margin Services and Other Products (AirPods, Apple TV, Apple Watch, Beats products, HomePod, iPod touch, etc.) continue their strong growth rates as management expects, the company’s top line can continue edging higher. Of course, the growth of Apple’s services business is somewhat tied to the number of devices it has in circulation. However, for now it seems unlikely Apple’s base of hardware customers will meaningfully erode, plus the higher profitability of services should help support the company’s long-term cash flow growth even if overall sales trends are less impressive. Regardless, until Apple shows it can continue generating stronger growth in services with a continued slowdown in hardware device sales, investors could remain skeptical about the company’s long-term prospects. It’s also worth noting that Apple’s large cash pile means it can compete in almost any market it wants and in nearly any industry. However, there are limitations to how effectively the firm can invest its mountain of cash and roughly $60 billion per year in annual free cash flow. Should Apple struggle to grow in 2020 and beyond (2019 is expected to be a year of negative revenue growth and modest earnings growth fueled by buybacks), then management may feel pressure to buy its way to growth through some large acquisitions in less lucrative industries (such as buying Netflix). While such a move would not jeopardize Apple’s dividend safety given the company’s excellent financial health, it could create greater uncertainty around management’s ability to return the company to profitable long-term growth. Consumer electronics has traditionally been a very challenging industry marked by cut-throat competition, cyclical sales, unpredictable technology changes, and declining margins over time. However, Apple has proven itself a standout in its space, thanks to a strong focus on building and maintaining a premium brand over time. The company’s efforts to constantly improve its sticky iOS ecosystem and deeply integrate all of its various hardware and software offerings have resulted in greater customer loyalty that has translated into industry-leading profitability. Combined with its disciplined capital allocation that forgoes the splashy mega-mergers tech companies are famous for, Apple has shown itself to be a wise steward of shareholder capital. Thanks to the company’s excellent financial health and commitment to growing its payout, income investors can likely count on Apple delivering double-digit dividend increases in the years ahead. With that said, Apple will remain largely dependent on hardware sales for the foreseeable future. Dividend investors considering the company should remain aware that the company’s long-term growth prospects could come into question if the economics of the iPhone were to unexpectedly breakdown as they might now be doing in China. For now, this seems unlikely thanks to the company’s brand strength, customer intimacy, and excellent balance sheet, which provides greater flexibility for Apple to adapt as needed.